The current food system seems to have been designed for disconnection, marginalization, and fragmentation. Not only are we separated from the land, but also from each other, from our food traditions, and from making decisions that affect our communities. 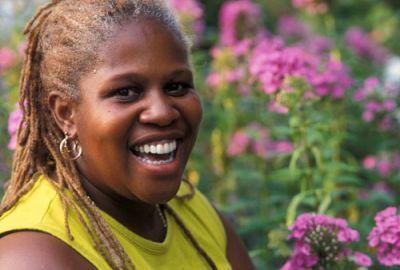 Join Karen for this lively and interactive conversation about food and social justice, inclusion, diversity, activism, land reform, waste management, ending hunger and poverty, and building community. Plan to become connected across social boundaries and expect to leave with passion, inspiration, and action. Bring your stories and Karen will bring hers. Sharing is where it starts. Thriving and diverse gut flora as the key to health is becoming widely known. Science is discovering the vast similarities between the gut and root microbial communities. Their capacity for symbiosis and harmony or depletion and disease is all based how we approach them. When the soil is full of life-supporting probiotics, the food grown there is your ally in gut health, nutrient absorption, and immune resilience. When the soil is not healthy it leads to chronic disease and degeneration. In order to invest in our collective health, we need to invest in rebuilding the soil. In our lifetimes, we’ve seen significant decline in the home-grown American food community. How did farm families in the past provide nearly all their food needs directly from the farm? And how can we get there again? 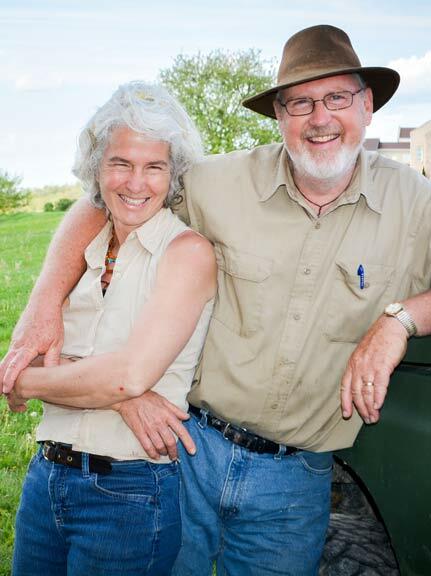 This full-day workshop, with Independent Farmstead authors Beth & Shawn Dougherty, is designed for the forage-based, family-scale, food producer hoping to create a secure, productive food system on small acreage.